Your beef cattle breed choice is a strict process of matching breed traits to your farm's environmental conditions and production goals, yet surprisingly many farmers forget this key point as they fall blindly in love with one breed or another. So in this article I'm going to review the basic principles of how to harmoniously match your cattle breed to your farm. It's a lot like choosing a dog. It's perfectly natural to be drawn to some cattle over others because of their appearance or because of some historical attachment that we have to certain breeds. Maybe your grandpa raised Angus cattle or you grew up on a Hereford ranch. Maybe your dad disliked Charolais cattle or maybe, like me, you once raised a particularly headstrong and mean-spirited Simmental 4-H steer that liked to kick you every time you got close. These positive and negative biases aren’t rational reasons to choose one breed over another, but unless we are very vigilant, these biases do subconsciously influence our decision-making process far more than we think. The seemingly rational reasons we come up with to defend our breed choices are often just rationalizations that we make afterwards to justify our choice, as much to convince ourselves as those around us. Test yourself. 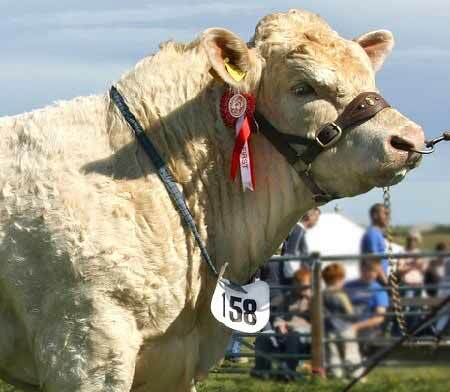 Do you have a strong opinion about which is the best cattle breed? The stronger that opinion, the greater the probability that emotions lie at the core of your preference. While this may be acceptable if you’re out to buy a new pet for the family, it’s a dangerous game to play when choosing commercial beef cattle that you plan to raise for profit. Breed choice must match your climatic conditions, your desired slaughter weight and slaughter age, and your production strategy. Your farm's profitability depends on it. Subtle differences in farming strategies means that your perfect match may be completely different from the next farm, even from your neighbors with whom you share a fence. Picking your perfect beef cattle breed is a lot like picking a new dog. For this article, we're going to look for something very specific - a new hunting dog. Like your cattle breed, this is a working animal with a very specific purpose. Dogs have a huge range of obvious physical adaptations to different environments and purposes. At first glance the differences between cattle breeds may seem less pronounced (apart from the most glaring differences like color and size). But in reality cattle also have a huge range of subtle adaptations that become obvious when you look a little deeper under the surface. But let's get back to our search for our new hunting dog. This little exercise will illustrate just how subtle the different physical attributes are that you need to look out for when making your breed choice. First of all, if you're out to find a good hunting dog, cuteness and emotional attachments needs to go by the wayside. You're going to need to be just as emotionally detached when picking your commercial beef cattle breed. Obviously your choice of dog depends on the exact style of hunting you want to do - there are different dog breeds for different types of hunts - pointers, retrievers, scent hounds, sight hounds, gun dogs, flushers, water dogs, and so on. Breed choice must be matched to suit the purpose. So, before rushing out to select the breed, you first need to become very clear about exactly what your working animal is meant to do for you. For the sake of our example, let's say our hunting dog is specifically intended for tracking game. Drilling down to this level allows us to identify some subtle but very specific characteristics which will set our chosen dog apart from other breeds. Saying you want to raise cattle for beef production doesn't give you very much to work with. Just like with our hunting dog, you'll need to drill down a lot deeper than that. Are you focused on cow-calf, stockers, or grass-finishing? What time of year do you want to calve? Is winter grazing going to be part of your production strategy? Are you planning to fatten your calves on pasture or on a feed ration? What kind of climatic conditions will your cattle face - extreme heat or extreme cold, rocky ground or muddy soils, shade or blazing sun, high parasite pressure or four-legged predators? Being clear about exactly what your production strategy is and what kind of environmental conditions you expect your cattle to thrive in on your farm is absolutely vital to narrowing down your choices to the correct breeds. A tracking dog should have a nose shaped to blow air sideways during exhaling (not forwards like most dog's noses) so it doesn't disturb the scent trail. Its ears should be long and wide so that when it presses its nose to the ground to follow a scent, its ears will act as shields to prevent wind from scattering the scent under the dog's nose. It should be a breed that can easily be trained to track silently on a leash so you can stalk up to your prey. You don't want your typical hunting breed that pollutes the whole valley with the sound of its enthusiastic baying. Most scent hounds are pack animals, but a tracking dog needs an independent nature that allows it to perform well outside of a pack. A tracking dog needs an athletic build capable of travelling long distances. It also needs to have an affectionate gentle temperament so you can bring your dog home to your children between hunts instead of placing it in solitary confinement in a kennel between hunts. And it should be a reasonable size so he's easy to transport between hunts and won't run up too large of a grocery bill. Pug is obviously off the list, no matter how cute. So is Great Dane. But even if we eliminate all but the hunting breeds and then drill down even more to focus exclusively on the highly specialized scent-hounds, very few make the cut. Duchshund are too short-legged. Beagles are too pack-minded and too noisy. And Pointers' ears are too short, besides the fact that pointing isn't quite ideal behaviour in a tracking dog. 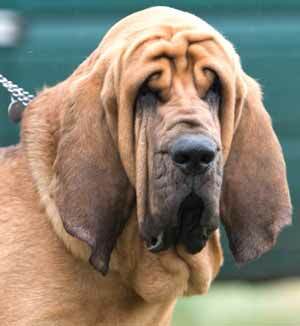 If you want the Cadillac of tracking dogs, you're going to want a bloodhound. And you'll just have to get used to his looks. As you read through the tracking dog example above, you've probably already started thinking how pointless most cattle award shows are to your cattle selection process. And yes, the photo of a bull with a ribbon in a show ring at the start of this article is a red herring - it's precisely the wrong place to start your search for your cattle. While fun and entertaining, parading around in a bovine beauty contest or taking part in a feed trial competition actually tells you very little about how each of those cattle will perform on your farm, in your specific environmental conditions, and within the parameters of your specific production plan. In my book, Grass Fed Cattle, I advocate that the most effective strategy for picking individual cattle is to visit breeders' farms to see how individual cattle are performing in real-life conditions. If you want to grass finish cattle, you need to see the cattle performing in pasture conditions, not in a feed yard. If your cattle spend their lives on soft wet ground, you also want to see breeders' farms that have similar soils so you can see if their cattle's feet stand up well to these conditions or whether they end up with cracked hooves or long curled over toenails that constantly need trimming. You just can't see these sorts of things in a show ring. All of this applies equally, and more, to your overall cattle breed choice. You have to match form to function. That requires drilling down into the very subtle physiological differences between cattle breeds. Unfortunately cattle are not grouped into as many convenient well-advertised breed groupings as dogs are, but their historic adaptability to specific climates and specific purposes is still evident if you take the time to look under the hood and study the history of each breed. Here are some examples of these adaptations. Some will apply to your farm. Other's won't, which starts the process of whittling down the list of breeds that are suitable for your beef program. Tropical cattle breeds are more adapted to thriving in extremely hot climates than the European cattle breeds. Tropical cattle breeds are also more parasite-resistant than other cattle, but that disease and parasite resistance varies greatly depending on which diseases and parasites each tropical breed faced in their ancestral geographic region. Breeds with dark pigments around their eyes are more resistant to eye diseases in bright sunny climates and dusty conditions. British cattle breeds are best suited to handle cold damp weather better, with Scottish Highlands and Galloways being perhaps the most cold-hardy of the group. Size and the time it takes to finish cattle are directly related. For example Simmentals take many months longer than Angus to reach their target weight, but they also weigh several hundred pounds more when they are ready for slaughter. This has direct consequences to your production costs depending on how long your grazing season lasts and whether you need to overwinter your calves for a second winter on expensive stored feeds before they are ready to be slaughtered. Some breeds, like Simmental, have much more resistant durable feet for living in mountainous or rocky climates, while others have slow-growing softer feet that don’t need trimming even when raised on soft or muddy soils. Some breeds, like the Texas Longhorn, have stronger protective maternal instincts honed by a history of calving around predators, while others like the Scottish Highland are more laid-back and easier to handle in close quarters. Some, like Herefords, have horns great for defending against predators and sweeping aside snow and ice from frozen winter pastures. Others, like Angus, are naturally polled which reduces bruising in tightly-quartered cattle herds without suffering the ordeals of the de-horning iron. And still other breeds like the Scottish Highland, have horns caused by a recessive gene only so their offspring naturally won't grow horns in a crossbreeding program with polled cattle. And this list is just the tip of the iceberg. The deeper you dig, the more differences you will find between different cattle breeds. So set aside your biases towards or against certain cattle breeds. Spend some time learning about their breed history. Study up on cattle genetics. Get out your microscope. And, most importantly of all, identify exactly what traits will provide a good match between your cattle and your farm. 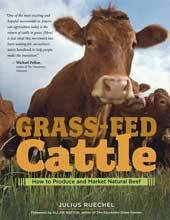 You can find more tips about how to choose your cattle genetics in my book Grass Fed Cattle: How to Produce and Market Natural Beef.